Dean Del Mastro’s FB post has been brought to my attention. I want to make clear that any stories of blackmail or intimidation, sexual or otherwise, in relation to my dealings with Stephen Maher are categorically false. I will be making no further comment. L’affaire Ghomeshi just keeps giving and giving, the safe word long forgotten. It takes a tremendous amount of courage to come forward as a victim of sexual abuse or assault, particularly if the perpetrator is powerful or famous. Several years ago I was made aware of a young staffer on the hill who had been pressured for sexual favours by a hill reporter who had blackmail materials on her and her boss. After she continually rejected his demands he went ahead and publicly destroyed her in the press with the materials he had; he made it clear the only way to stop it was to sacrifice her dignity. To this day she refuses to come forward out of fear and because she feels it will only further harm her career. As a result, the perpetrator remains working in the press gallery even as many in Ottawa know what he has done (another former hill reporter tells a similar story but she’s afraid to come forward or to make a complaint as well). The bottom line is that tragically many women feel that they are better to keep sexual abuse and assault a secret, afraid of what might happen should they come forward. I agree that the courts do everything they can to protect victims of sexual abuse and assault but you cannot make the argument that because victims won’t file a formal complaint against a sexual predator with the police that the story of their abuse is suspect or false. Sexual blackmail? Pervs and predators in the parliamentary press gallery?! Holy shitballs, Deano, did you lose Frank’s number? But hold up. It takes but a few emails among hill weasels to crack the devious Del Mastro Code. It appears that by a remarkable coincidence, crusading feminist Deano’s unnamed target is one of the very hacks whose coverage of his election spending fuckery cost him his gig as parliamentary secretary to President Steve—plus his membership in the Tory caucus and, potentially, his freedom. Step forward, Stephen Maher. The award-winning Postmedia hack is the villain in this stale tale, originally shopped about by Dimitri Soudas in his role as chief PMO spokesliar. 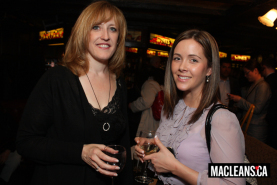 The purported victim, Lisa Raitt’s absent-minded commsthingy, Jasmine MacDonnell. Flash back to 2009. Jasmine leaves her voice recorder behind in the press gallery offices. On it, a recording of Raitt making her notorious comments about the sexiness of the Chalk River nuclear shutdown and resultant isotope shortages. Maher finds the recorder and calls MacDonnell to come and reclaim it. She doesn’t get around to it for five months. 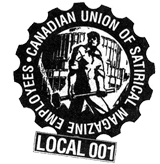 By this time, Maher finally remembers what he does for a living, listens to the recording, and goes with the story – once a judge lifts and injunction and publication ban MacDonnell gets in an attempt to squelch the bad press. By this time MacDonnell has resigned for, whoopsie, forgetting a binder of sensitive government docs in CTV’s Ottawa bureau. To get out in front of the shitstorm, Soudas retails the story that Maher went to MacDonnell and offered to kill the yarn if she came aboard his boat for a little visit, wink-wink, nudge-nudge, say-no-more. A shocking tale if true, but, er, it wasn’t. No one has ever heard MacDonnell herself allege this. It was just another day’s ratfucking for ol’ Hairplug. So, does the veracity-challenged Del Mastro actually now believe Soudas’ reheated libels, or did he just see an opportunity to get back at his tormenters in the press gallery? Frank would not presume to guess. Are you sure the top photo isn’t of Zero Mostel? I hired Jasmine after she was turfed by in 2009. I can tell you there is no more honest and ethical staffer around. She did what the old fashioned staffer used to do without question — take one for the boss. Both Del Mastro and Soudas would never be that ethical, loyal, honest or CLOSED MOUTHED as Jasmine. Good eye Frank — keep up the great work of exposing these creeps…. Well done, once again. The explanations I read in Frank almost always conform much more closely to the Ottawa I know than the official fairy tales peddled by federal politicians and their bureaucratic enablers. 2 Pings/Trackbacks for "Who’s the press gallery “predator?”"